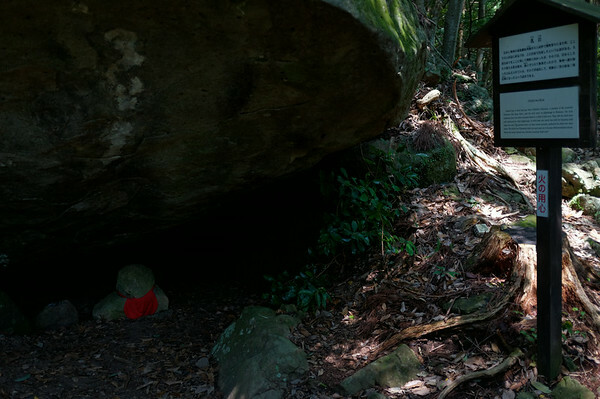 This led me to the Kumano Kodo pilgrimage trail, a set of routes through a what is called the Kii mountain range that thousands of people would use as a spiritual journey to a number of temples and spiritual or religious sites dispersed throughout the region. 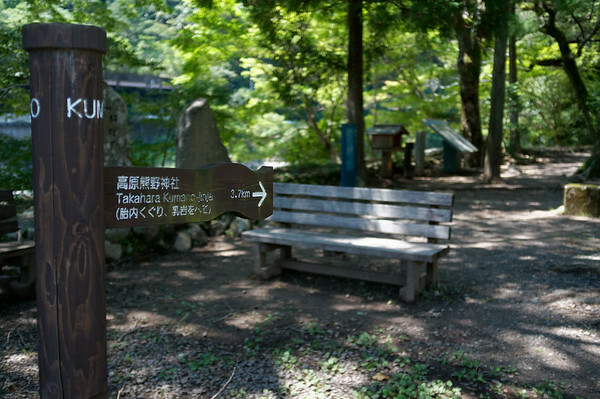 It was a lengthy journey from Mount Koya to Takijiri (the starting point of the trail), full of bus and train rides, as well as chances to get lost along the way. I was grateful to encounter some very friendly and helpful people. 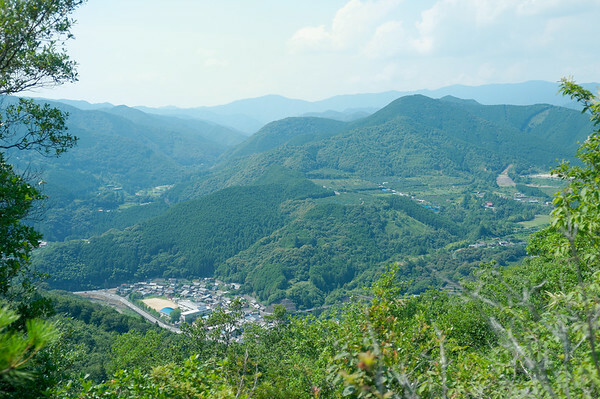 When I first planned my trip to Japan, one of the first things I did was seek out places to hike and explore. In that process, there were an enormous number of options but given I had a very tight window of time to fit in hiking Mount Fuji and spending time with friends, I needed to find something that would provide me a glimpse into Japanese history, culture, whilst allowing me to enjoy the natural environment. 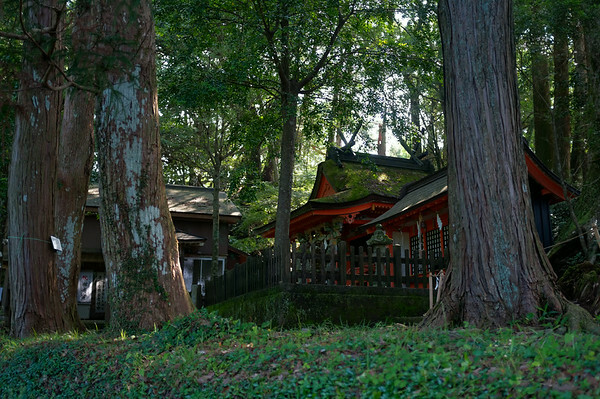 This led me to the Kumano Kodo pilgrimage trail, a set of routes through a what is called the Kii mountain range that thousands of people would use as a spiritual journey to a number of temples and spiritual or religious sites dispersed throughout the region. 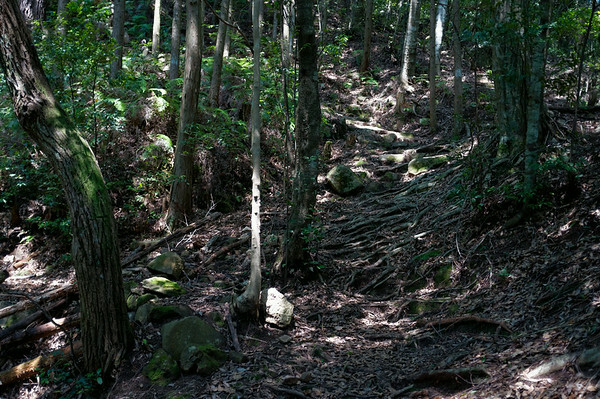 It was a lengthy journey from Mount Koya to Takijiri (the starting point of the trail), full of bus and train rides, as well as chances to get lost along the way. I was grateful to encounter some very friendly and helpful people. Being pretty much illiterate, I found myself walking on to the wrong platform or waiting for the wrong train but thankfully, the people were very kind to point me in the right direction. Even when there were difficulties communicating, both parties would often persist until we finally arrived at an understanding. There were some funny moments when on the bus ride to Takijiri, a local Japanese commuter thought I had the wrong bus ticket and was so concerned I had to convince her that I was taking the correct bus by showing her my itinerary. I also had the good fortune of meeting Steven and Michelle from New York who were enjoying the beginning of what I think at the time was a year-long travel plan, and I was pleasantly surprised after chatting with them that they were staying at the same guesthouse for the evening. After getting off the bus, we made our way to the visitor centre where they offered free trail maps in English. 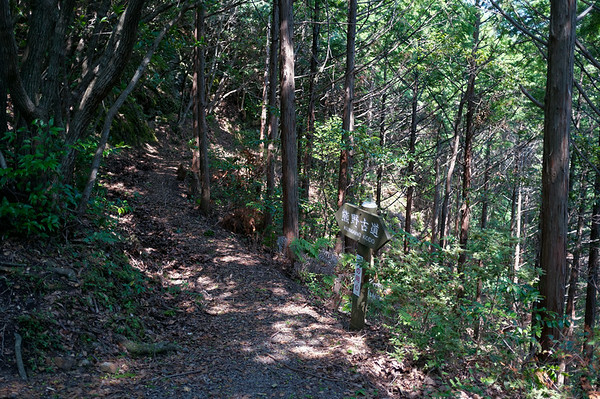 This map helps immensely if you are tackling a large chunk of the trail — I highly recommend picking up a copy even though you can download and print it off maps from the Kumano Kodo website. I picked one up and made my way to the trailhead that was just located across the small road. 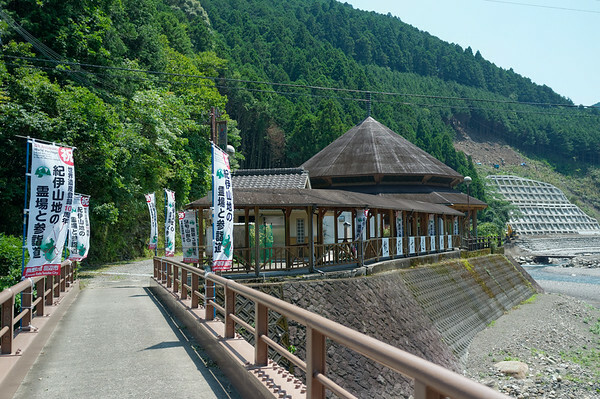 The village of Takahara was my destination for today and though it was only 3 or 4 kilometres, I had read that it was going to be a tough and steep hike up the mountain trail. I was immediately impressed by the challenge of the climb but was definitely feeling the effects of a combination of jet lag and the summer humidity (100% + a minimum 36 degrees Celsius). Even with the training that I had put myself through earlier that spring and summer, one would definitely feel as if it were an endless climb up the mountain on a hot day like it was in mid-July. Fortunately I had filled my water bladder and bottles ahead of time so I had plenty of water, and was I ever grateful for the shade that the trees provided! The landscape was so lush and green and at times one might even feel a brief cool-ish breeze. There were a quite a few stops through out the climb up to catch my breath and give my legs a short rest but eventually, I finally made it past the major portion of the climb. I had read about the experiences from other people who have blogged about their hike up and I can definitely sympathize with how they felt when they cursed the fact that there was yet another climb up. My mind often drifted to wondering how the pilgrims tackled such a journey thousands of years ago — no way it could have been as easy or straight forward as it is for us now. Majority of this part of the trail was immersed in the forest so there were very few times when I’d get to see beyond the trees but I eventually arrived at a fork in the trail where one would have the option of climbing up more steps to a lookout point or to simply walk around. I figured that despite the additional steps, the view would be worth the effort. I was right — it wasn’t a 360 degree view but it was a nice reward that made the climb worthwhile to maintain some level of motivation. 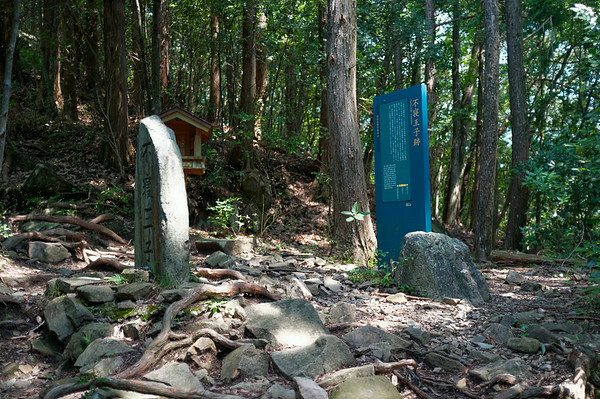 The trail continued to ascend slowly and there were times when I’d encounter some really interesting small shrines. These were very interesting and they reminded me of the jizo statues that I had encountered during my stay in Mount Koya. I wish I was literate so I could better appreciate what the signs were saying but I felt grateful for the opportunity to experience what I could. 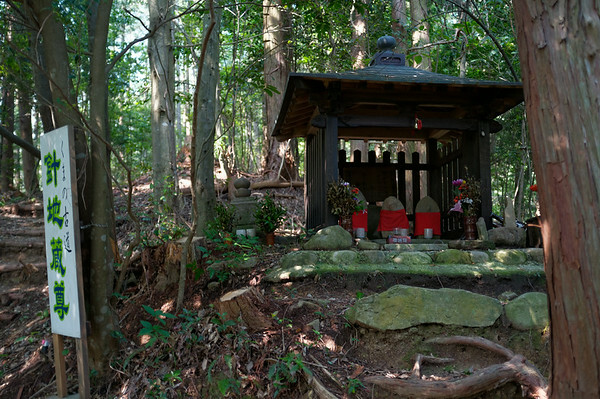 These type of shrines were quite common through out the trail and you’ll see some more of them in my other posts about my Kumano Kodo trek. 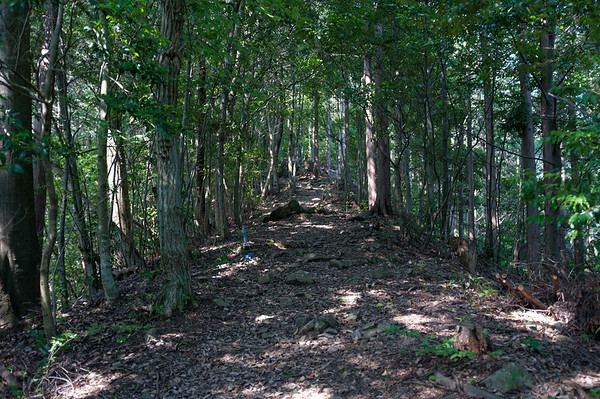 Similar to the Bruce Trail that I’ve been hiking for some time, the trail eventually leads me on to a small country road and towards the village of Takahara. Though the sun was blazing and I was definitely sweating buckets, I loved this part of the trail. It was simply so tranquil and pretty — so very different from the cities. 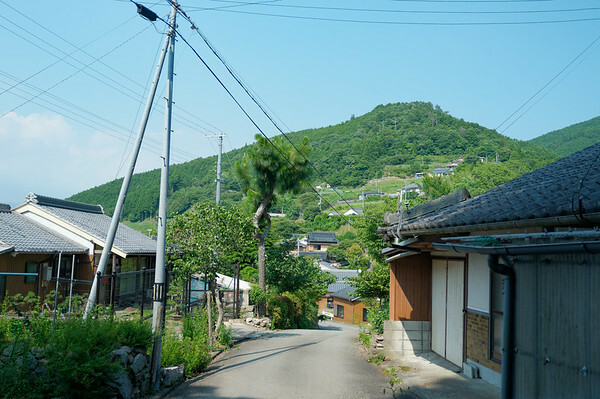 There were times when the heat, humidity, and the climb alone were draining but it was refreshing to get past the climb and stroll through the village. I eventually arrived at what appeared to be a large rest area. 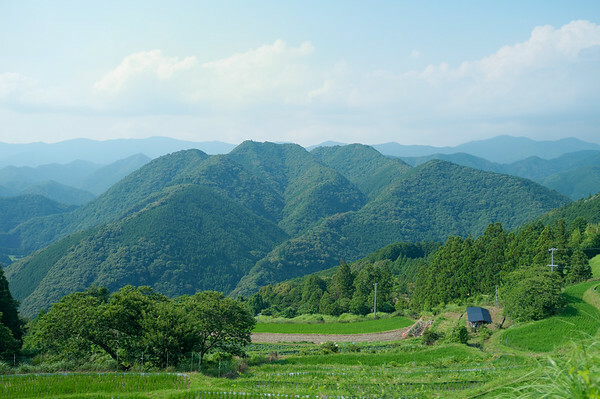 I think Takahara receives a significant amount of traffic during different times of the year — perhaps when hiking the Kumano Kodo is in season. Obviously, it didn’t seem like the summer was the ideal time but one just has to make do with their vacation time! The large rest area was quite impressive with a beautiful vista of the surrounding area and a fairly sizable shelter with dispensing machines offering cold and hot beverages. I just stood around taking in the beautiful view of the surrounding mountain range and rice fields. The signs to where I was staying was a little challenging to figure out but I eventually found my way after getting lost for a bit and walking back and forth in the village. 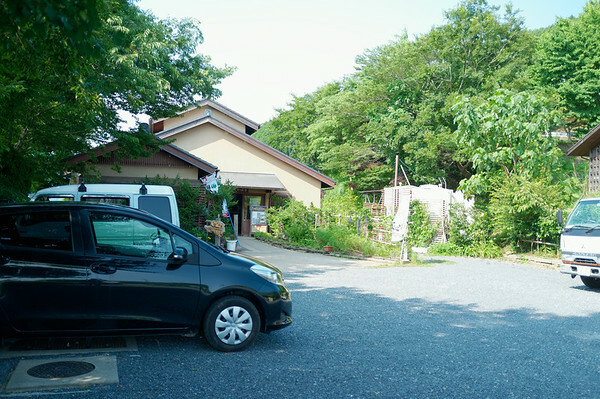 I was pretty exhausted and hungry (I hadn’t eaten much for lunch) so I was very glad to have found the Organic Hotel Kiri no Sato. It’s a very charming little place with beautiful views of the mountains from the dining room as well as the bedroom where I stayed. After spending some well-deserved time in the onsen (bath), I enjoyed reading some old issues of National Geographic, and enjoyed an excellent dinner in good company with Steven and Michelle whom I had met earlier — before retiring for the evening. It was going to be an early morning the next day and I intended on getting more rest with my jet lag fading away.